Greetings from the city of churches! 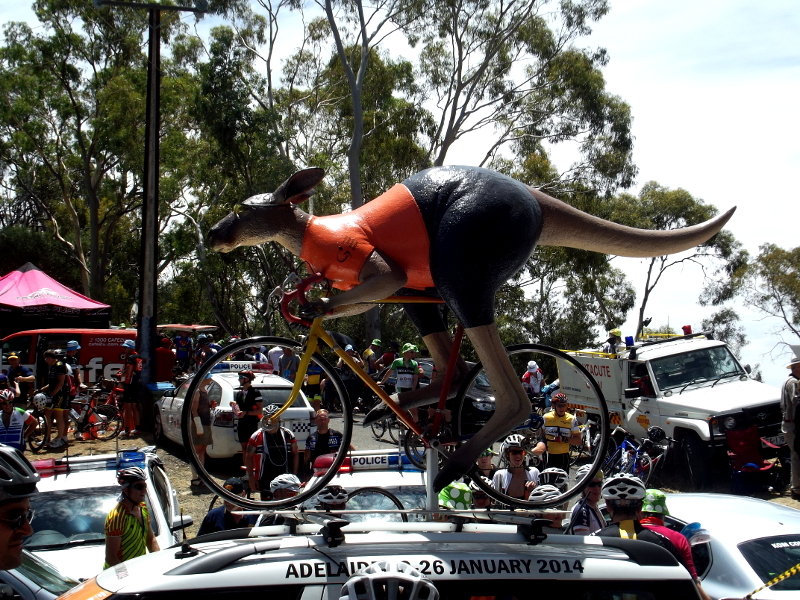 We got in to Adelaide last night, having missed the first two stages of the TDU, but with a plan of action for seeing the best of the next four stages. Steve Morabito (BMC) and Angelo Tulik (Europcar) before the start. 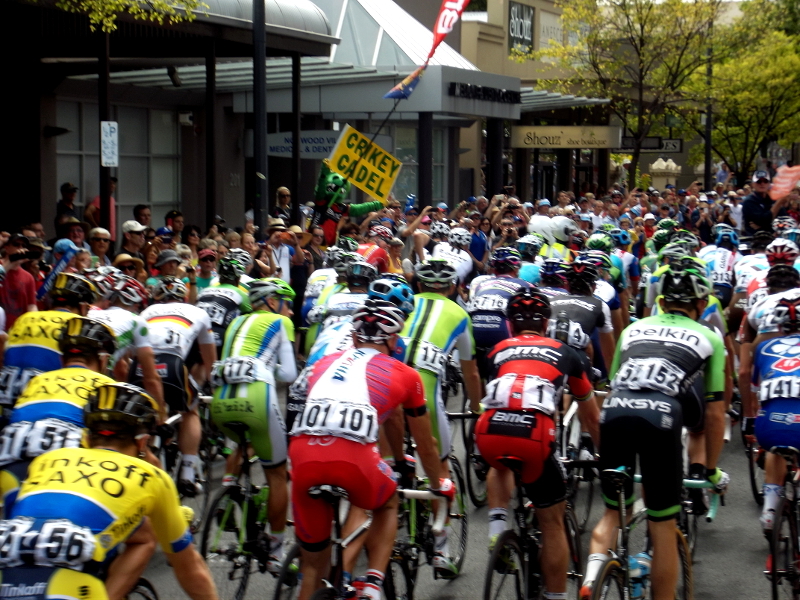 The peloton rolls out at the start of stage 3. Heading out of Norwood, Cadel and the Crikey croc. As the Peloton (and its Jens led breakaway) headed north, we went straight across to Montacute, to the KOM line at the top of Corkscrew Road. 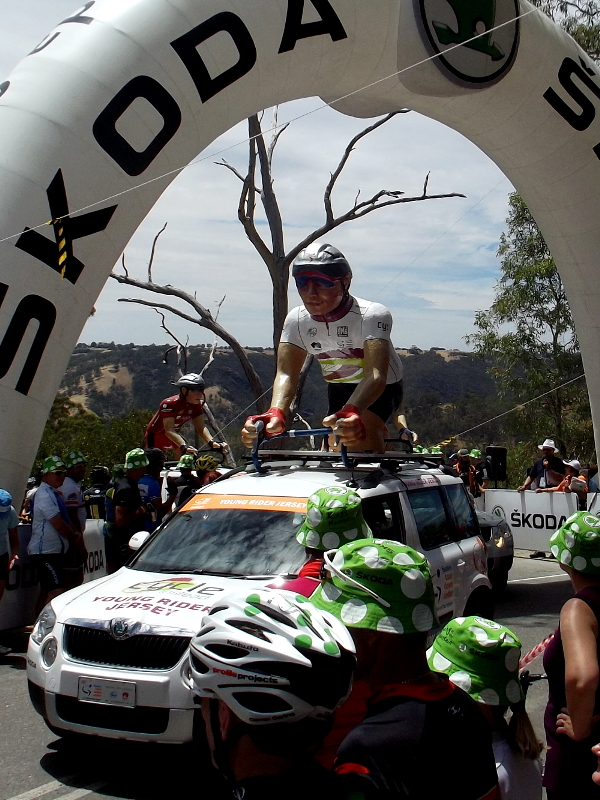 The TDF style ‘caravan’ arriving at the KOM line ahead of the race, handing out corporate emblazoned bucket hats. 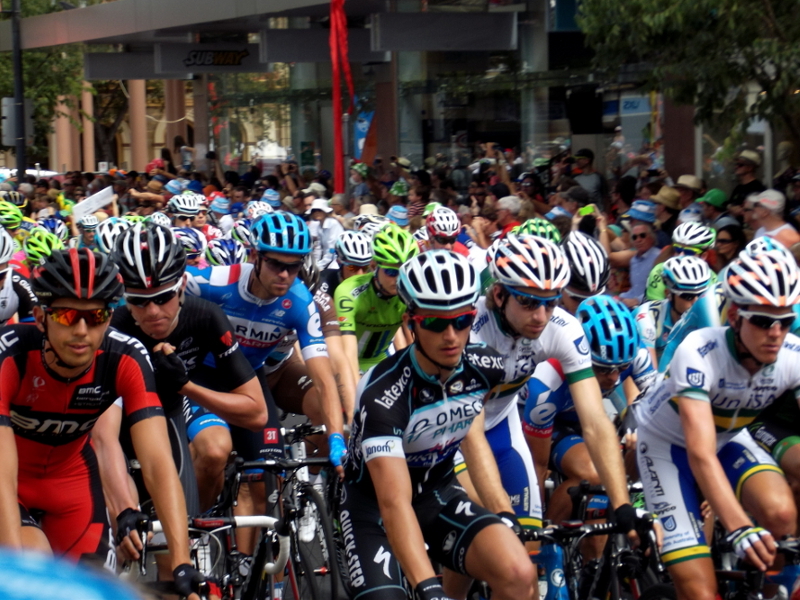 The TDU is supposedly the biggest cycling race, by weight of crowd numbers, outside the TDF, and from today’s crowds I’d believe it. 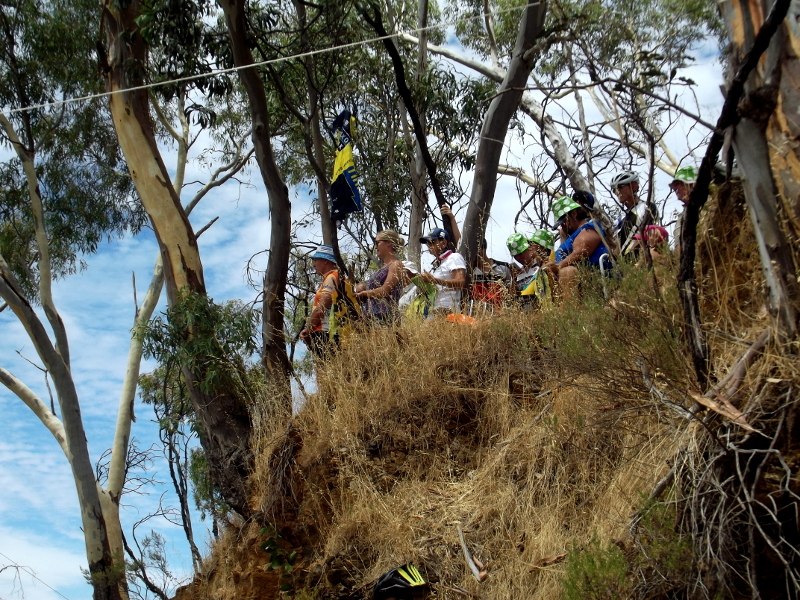 Crowds perched on every possible outcrop. Tension built up in the crowd as the TV helicopters drew closer, signifying the lead group’s approach. 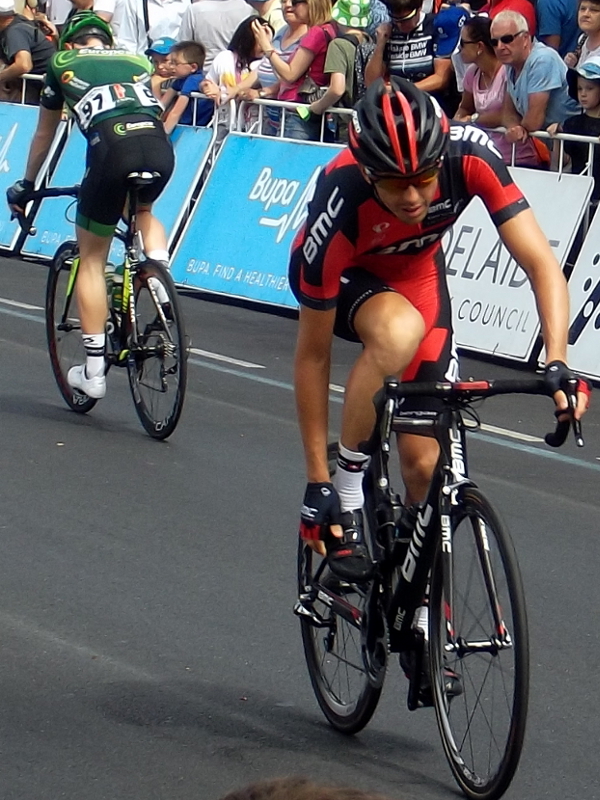 I lost internet on the hill, and the commentary from the guy with the mic was substandard, but we knew Cadel had the edge on Gerro and Richie Porte. 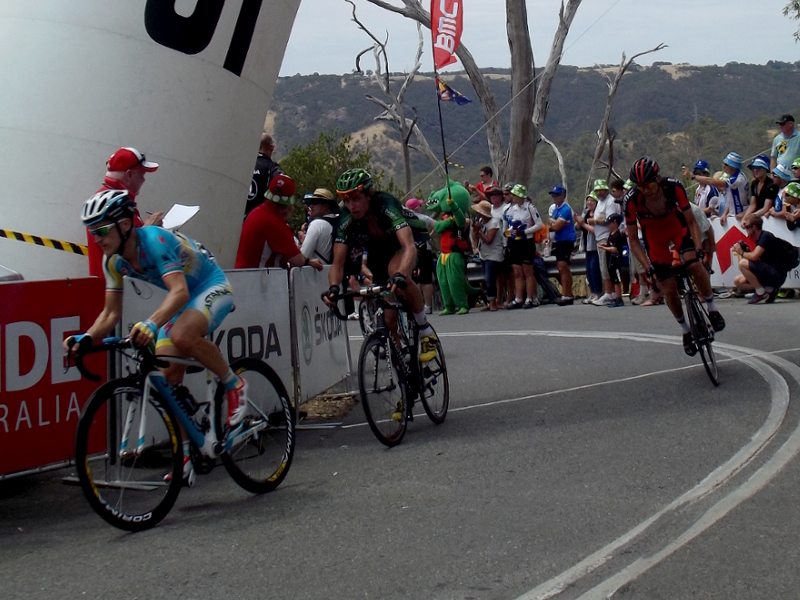 But when Cadel burst around the corner on his own the hill exploded. 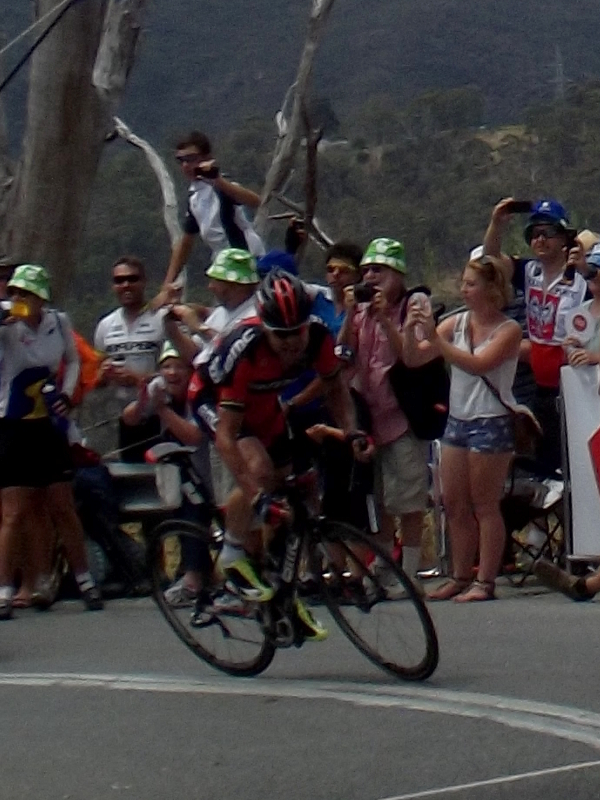 It’s hard to find words that can do justice to the intensity of effort we saw as Cadel powered over the top. This was a step up in excitement from the nationals finish almost two weeks ago. Cadel was already out of sight down the descent by the time Gerro and Richie came over the top together, followed by the rest. Jens was leading a slow group, several minutes after the stage contenders. Morabito again, with Astana and Europcar riders (who’s good at rider ID?). Almost as an afterthought, the guy with the mic announced Cadel had won the stage. The event could definitely improve its remote coverage at popular vantage points. Today was awesome and we’re looking forward to tomorrow’s stage from Unley to Victor Harbour. I’ll upload some more photos in the evening. ← Images From the Road National Championships.